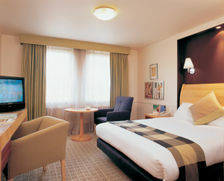 Stay at the convenient Holiday Inn London-Bexley hotel, with easy links to central London and the M25. Our friendly staff welcome you to this modern hotel, built around a traditional red-brick 1930s pub. We have a convenient location on the outskirts of London, 10 minutes' amble from Bexley rail station for 30-minute train links to London Bridge. 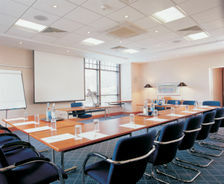 London Gatwick Airport is 35 miles from Holiday Inn London-Bexley. Arrive via the nearby M25 motorway and the adjacent A2, and you can leave your vehicle in our car park. You're 5 miles from manufacturing companies in the Thames Gateway town of Erith. The Dartford Crossing is 11 minutes away by car and it's under 30 minutes to Tilbury Docks via the A2. 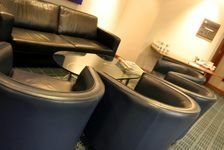 Catch up with wireless Internet on the leather chairs in our lounge before seminars in the self-contained Academy's 8 air-conditioned meeting rooms. 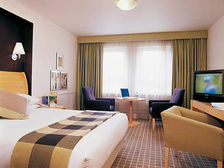 Choose Holiday Inn London-Bexley, just 5 miles from concerts at the impressive O2 Arena and shopping at Bluewater. British Superbikes zoom and screech on the circuit at Brands Hatch, 13 miles away. Pick up a Travelcard at Bexley Station for Vinopolis wine tastings or adventures at London Dungeons at London Bridge. 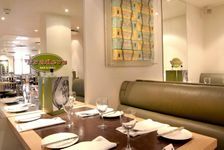 Hot dishes like hash browns and sausages await you at the breakfast buffet in Holiday Inn London-Bexley's bright, spacious restaurant, where children under-13 eat for free. 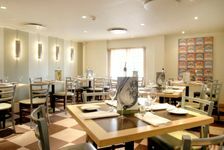 Based on the edge of the green belt with easy access to London and the Kent countryside via the A2 trunk road, the hotel gives quick access to a vast choice of cultural activities. 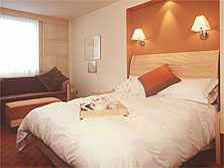 All 107 bedrooms, available in various categories, are designed to meet your every need, equally. Satellite channels and pay movies will entertain you in your air-conditioned Guest room. Surf the web with high-speed Internet at your desk and refresh with complimentary tea and coffee. Your modern bathroom has a curved shower rail around the bath. 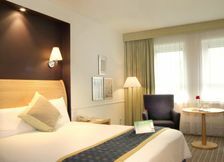 Work in comfort from your Executive room with an ergonomic leather chair. You'll be able to keep in touch using high-speed Internet and watching satellite channels on TV. Your upgraded bathroom has towelled bathrobes and deluxe toiletries. A full English fry-up as well as healthy fruit and yoghurt are on our breakfast buffet. Daily specials like salmon with pesto are served in our spacious and airy restaurant, which was once a traditional pub and also has occasional themed curry evenings. 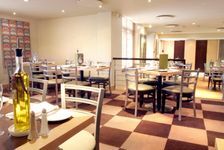 The on-site restaurant and lounge bar offer a cosmopolitan, healthy and traditional selection of dishes. 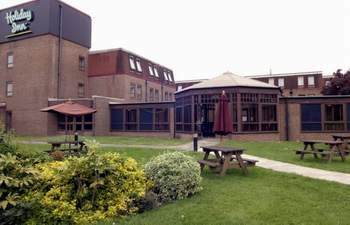 The property has a fantastic academy for conferences, functions, weddings, civil partnership, civil weddings or naming ceremonies, making it the place to meet in the area. 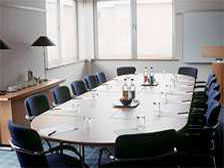 Moreover, high-speed internet access is offered in all bedrooms and wireless in public areas as well as meeting rooms.